« Damn your ties, man! Haha, snuck a day in there without posting. But, of course, my mom was right on it, with a “did you write your blog today” that had similar tone to it as a good old “did you clean your room”? Thanks, Ma. The CTdJ (the Catchup Tie du Jour) is another beauty from Lee Allison. This, as you may know by now, is my favorite blue. That cornflower blue, so nice, with a power stripe of red & white thrown in there for good, patriotic measure. No idea where I wore this one, but it was also found, all treasure-like, at Classy Closet at Washington & Custer in Evanston. This tie will soon be put on the list for the TieXchange. Tomorrow we are sending out our first beta tester ties, and we’re trying to get the mailing just right. We will use an envelope that can be used to return the tie. So, at least we can be a little green, even if your tie isn’t so green. 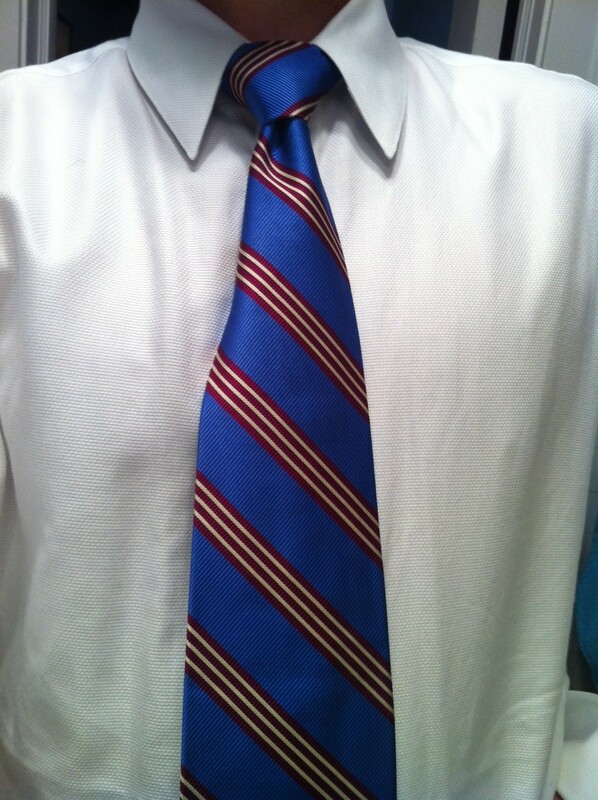 This entry was posted on January 4, 2012 at 1:07 am and is filed under Tie du Jour, TieXchange tie, Uncategorized. You can follow any responses to this entry through the RSS 2.0 feed. You can leave a response, or trackback from your own site.